Singapore is one of the worlds leading cities and also one of its most exotic. Set like a jewel in the middle of the islands of Maylasia, it’s not surprising to also find that Singapore also has a reputation for glamorous, top quality seafood dishes. Shellfish of all kinds dwell in the surrounding area, but none so tasty perhaps as the tender sweet crab. 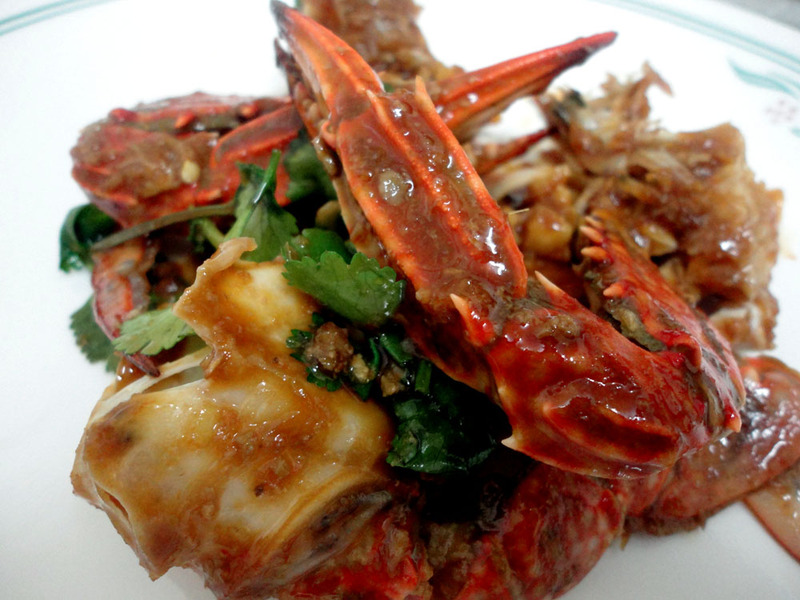 At Kelong they prepare Singapore chilli crab in the traditional way. House of Seafood also has other shellfish delights to go with their chilli sauce and crab recipe. 3 Chilli Crab @ Bancarella by I.M. Bancarella by I.M have a range of favourite dishes of all sorts as well as great crab with their own version of chilli sauce. 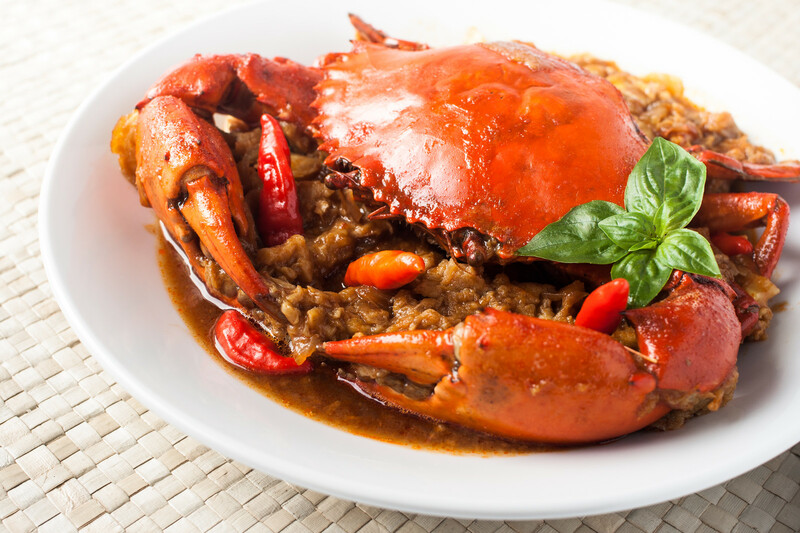 At the No Signboard Seafood Restaurant you’ll find the best brown chilli crab in Singapore. At the homely Rice and Fries they say this about their chilli crab recipe: A deep-fried soft-shelled crab, comes with sweet chili crab sauce, and a mantou. 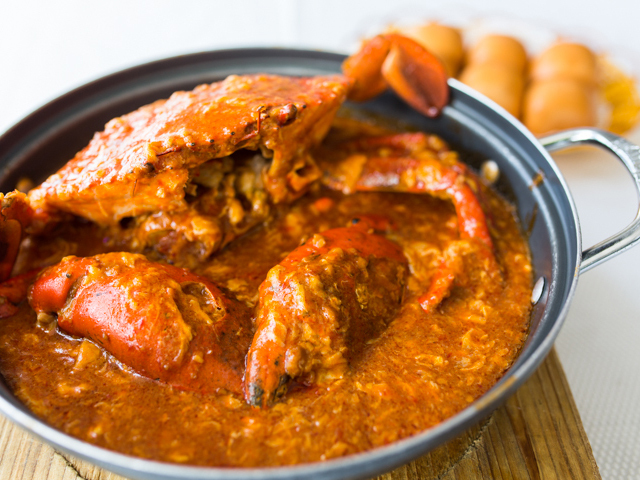 Melody’s Kitchen sources some of the best crab in Singapore for this chilli favourite. The Orchid Seafood Restaurant has the best chill crab in Singapore and other great crab dishes too. 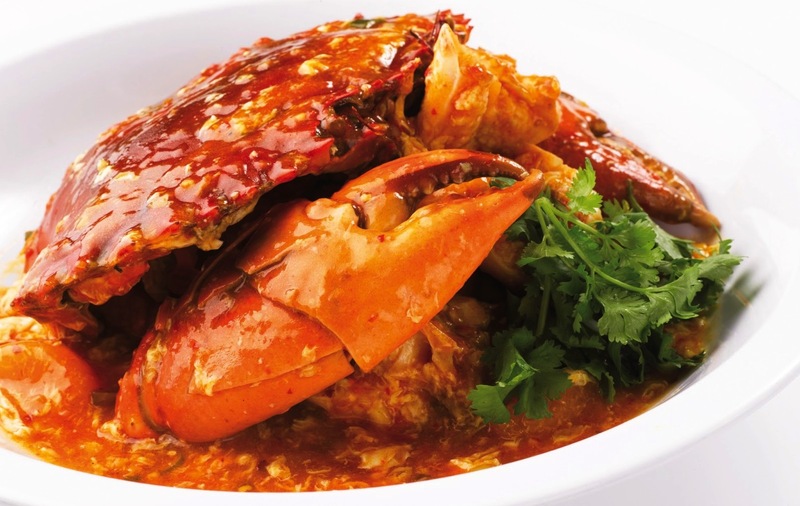 At The Hard Rock Cafe the chilli crab recipe is made into a dip – Delicious with Chinese buns! The Grilled Salmon Rice Set at Kokomama Marketplace has freshly grilled Salmon together with Japanese rice, mix salad, mushroom sauce and chilli crab sauce. Banana Leaf serve their chilli crab recipe classic style. Try the Chilli Crab Volcano Burger at The Old Boys Gallery, a delicious, crispy soft shell crab served with chilli sauce, jalapeno, melted cheddar cheese, fresh green and potato wedges. 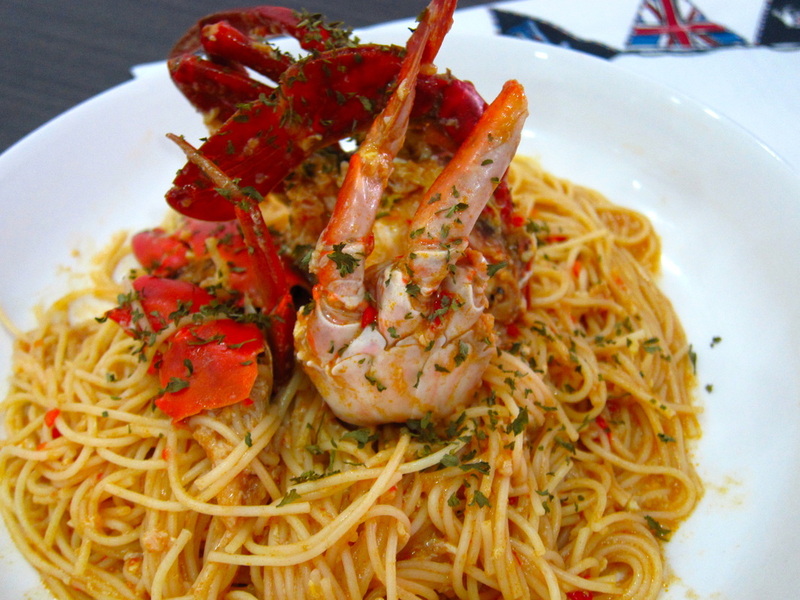 The Travelling C.O.W has Chilli Crab Pasta, with Penne tossed with chef’s chilli sauce, egg, crab meat and served with crab claws. At the Slake Bar you can have a cocktail and noodles with some of the best chilli crab in Singapore. 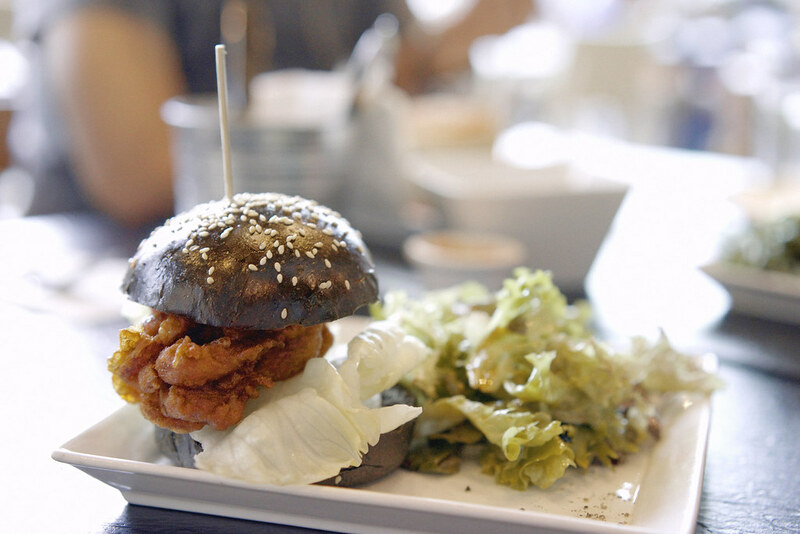 At Artistry they have a Crab with chilli recipe, which is, a blue swimmer crab patty, mixed greens and tomato slices, served between sundried tomato buns brushed with Japanese mayo. 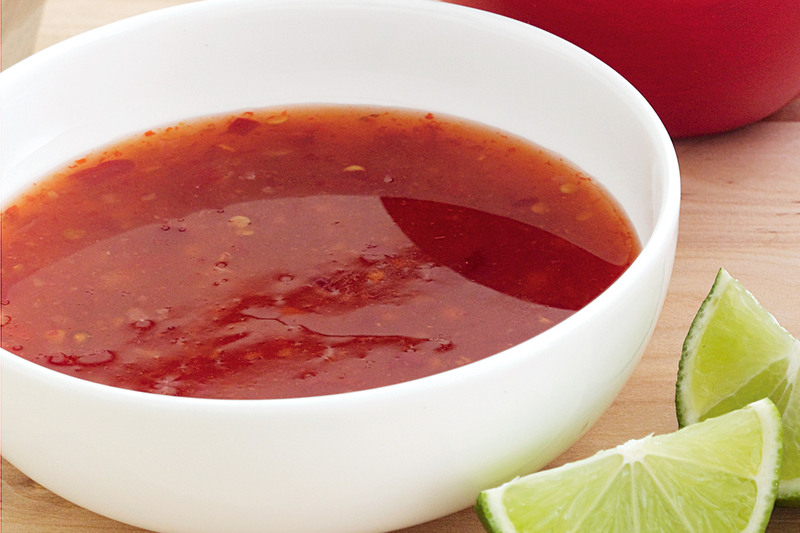 Served with fries and our homemade hot crab sauce. At the fun Singa Goody restaurant the Singapore Chilli Crab is with Golden Chicken. Tossed together in the wok, it’s served with chicken Begedil and chicken Dendeng. Enjoy! 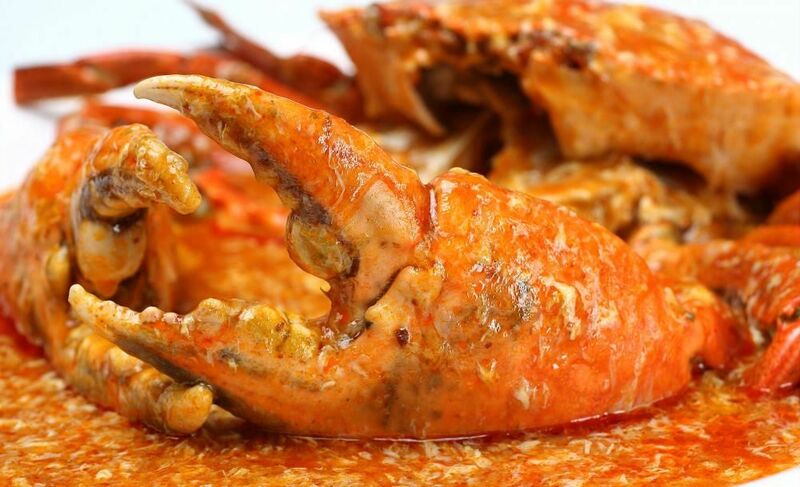 Whatever type of shell fish you enjoy, whether it’s King Crab from a specialist Crab restaurant in Singapore, for a celebration or, a piquant snack of Black pepper Crab for a low key supper, ordering online for delivery with foodpanda could not be more easy. If you want to plan a spectacular dinner party with shell fish in advance that’s great, or you want a simple seafood dinner, foodpanda can deliver. Always on time, always delivering fresh, hot tasty food right to your door, using foodpanda’s a great way to take out the stress of 21st century living and sit back and relax. Discover more Seafood on foodpanda Magazine!